Bio Technical Sergeant Adrian Holton is a trumpeter with the Ceremonial Brass, The United States Air Force Band, Joint Base Anacostia-Bolling, Washington, D.C. Originally from Palm Harbor, Florida, his Air Force career began in 2012 as a trumpeter with the United States Air Force Academy Band, Peterson Air Force Base, CO, where he performed with the Concert Band, Marching Band, and Stellar Brass. 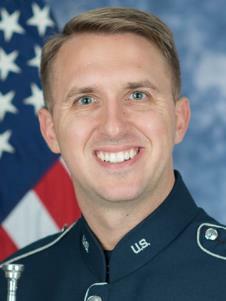 Prior to joining the Air Force, Holton worked five seasons as a student musician at Walt Disney World, including being a member of the 2005 Collegiate All-Star Band. He toured Japan twice with Broadway shows, Blast! and Blast II: MIX, and spent two years performing aboard Royal Caribbean Cruise Ships. Holton holds a Bachelor of Music degree from the University of Florida and a Master of Music degree from Indiana University. His teachers include John Rommel, Gary Langford, Roger Steward, and Shanti Simon. He has performed with the American Chamber Winds, Colorado Symphony, Colorado Springs Philharmonic, Colorado Springs Chamber Orchestra, Bloomington Camerata Orchestra, Columbus Indiana Philharmonic, and Gainesville Chamber Orchestra. Additionally, Holton was the Conductor and Music Director of both the United States Air Force Academy Cadet Orchestra and Colorado Springs Brass, and has guest conducted the United States Air Force Academy Band and its members on multiple occasions.